The alternator voltage regulator to the alternator Lucas assembled in Ford Transit MK3, MK4 and MK5. Using the controller can control the voltage of the alternator. 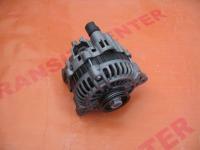 The alternator voltage regulator is the replacement produced by the company BSG and DB Group. Brand new, original packaging. Product of DP Group or BSG.